Hey y'all I stumbled across this review that I did in Texas last month and wanted to share it with you here! 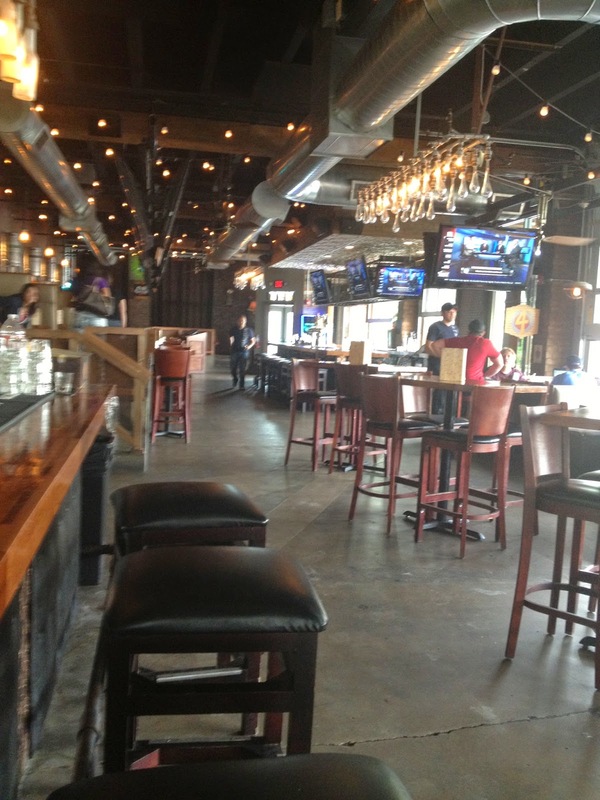 The Reservoir is a bar, patio and kitchen located on Foch Street. It is one of many upcoming cool places to hang out. Fort Worth has been growing, growing and plans on even more restaurants and bars coming to the area. Our bartender was a cool chick with a modern mohawk, she could really pull it off. I, on the other hand, would have looked ridiculous... some people just can look good in any style. 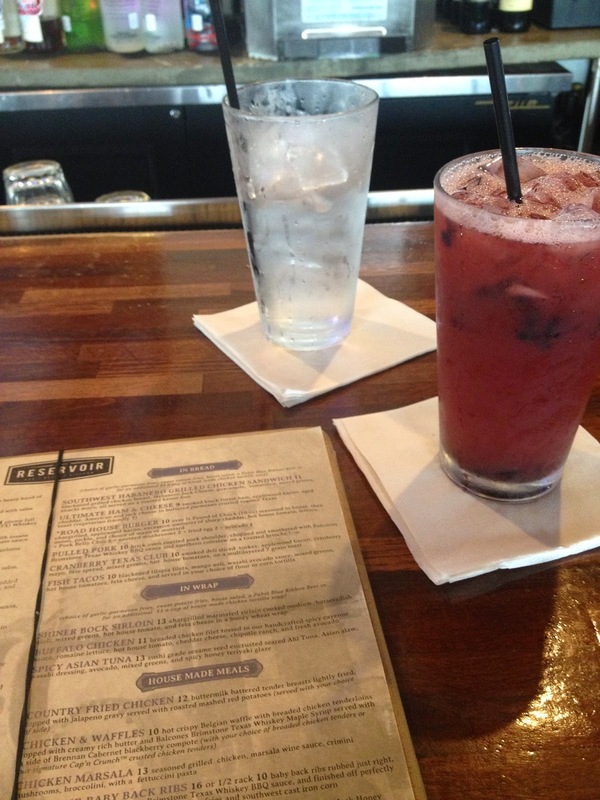 I had the Tito's Punch, it was lemon and orange juices, muddled with black berries and mixed with Tito's Vodka. It was very refreshing! As Scott and I hung out at the cool bar we decided to get some bar snacks to have with our cocktails. 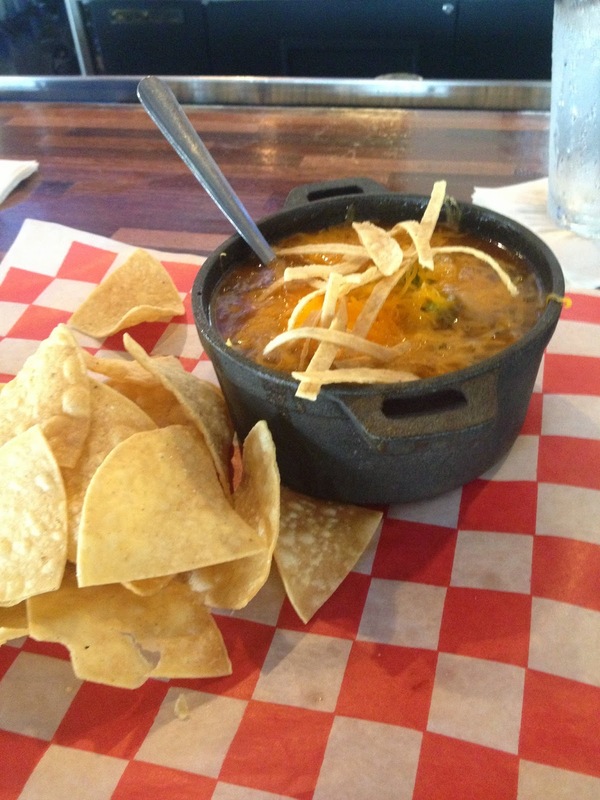 I ordered the Chicken Tortilla Soup based on our bartender's recommendation and it was good. Totally cheesy tough, so every bite there were strands of cheese stuck to my chin. That would be my one complaint as it was delicious tasting! Scott was eyeing some pizza as they were leaving the kitchen and I didn't blame him, They looked great! 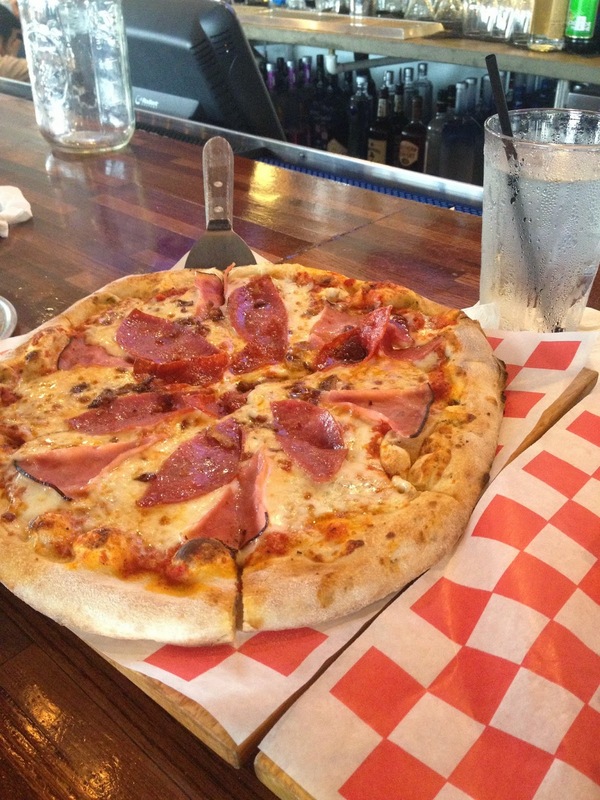 We opted for The Balboa pizza complete with Genoa Salami, and Tito's Vodka Sauce. Do you notice a theme here with Tito's Vodka... Lol, they must have a good relationship with the Vodka company! Anyway, the pizza was great the crust made for very good bar food. The Reservoir was a cool place to kill sometime and visit with friendly bartenders. I would give their service an A for effort that is for sure!